since we made our booking, Cheryl was very attentive and reply us asap. She also gave us useful advises. 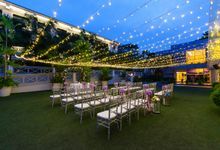 We had our solemnization at the garden terrace and then wedding dinner at the Lavender Ballroom. 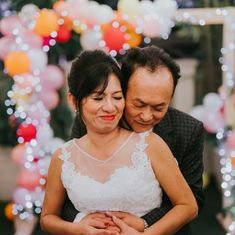 It was a wonderful night and basically everything went smooth. The Chinese food were tasted better than the time we had our food tasting. 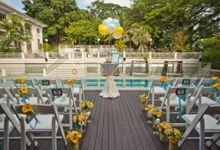 However there were 2 things they missed out: 1. never serve beverages during our solemnization. 2. the hard liquors we brought were not opened and served our guests. Hopefully they can improve. Our overall wedding experiences in HFC was great. 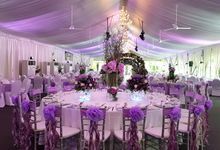 From wedding preps, foods, banquet management and logistics were executed well and attentive. 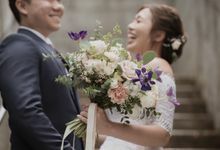 The only minor thing that we did not expect was the Holy Matrimony conflict timing due to sales team sold the time slot to other couple, led us to start on late morning. 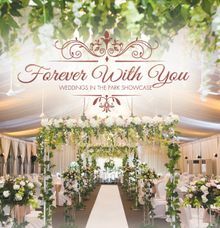 Nonetheless, overall wedding moment was nicely done and well reccomend this hotel for wedding services. 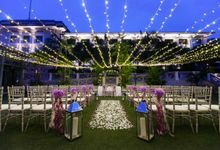 Dear RJA JP, Greetings from Hotel Fort Canning and congratulations from all of us once again on your recent nuptials! 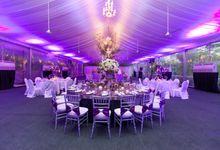 Thank you very much for your generous compliments regarding the service, food and logistics. Your feedback is valuable to us, and we are happy to hear of your memorable experience. 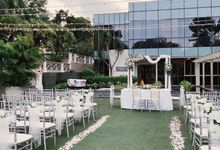 Our Garden Terrace is a highly sought after venue for a variety of events and on the day of your Holy Matrimony, there was indeed a prior event held before your own. It is our understanding that the team did provide due and ample notice in advance to let you know about the schedule. Nevertheless it has been a pleasure hosting you at our urban oasis, and we hope to welcome you again soon. At your service we remain. 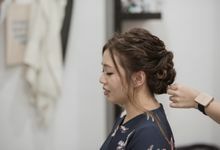 The wedding coordinator (Cheryl) was very professional, the operations team helped us through it all and really ensured every hiccup was covered nicely. Food was also fantastic However, the servers served the food at a very sparse interval, the food was almost finished on the 1st table when the last table is just served. Overall, I had a pleasant experience with them with just some nagging grouses. 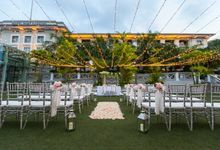 Dear Ding Hao, Greetings from Hotel Fort Canning and congratulations from all of us once again on your recent nuptials! 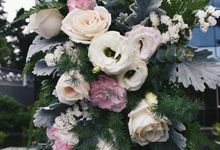 Thank you very much for your kind compliments regarding the service you received from Cheryl, our operations team and the quality of our food. 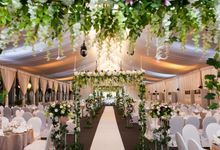 Your feedback regarding the timing of the service is valuable to us, and we will be passing your comments along to the Banqueting team to ensure that this does not happen again. It has been a pleasure hosting you at our urban oasis, and we hope to welcome you again soon. At your service we remain. 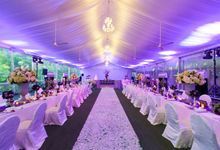 Had our wedding lunch banquet recently at HFC's the Legends ballroom. Location wise is okay, not the best, but not too bad, nearest MRT is Dhoby Ghaut. There's a small hill to climb to reach the ballroom. Service from the sales manager and banquet manager was pretty good, they tried to give in to our requests, but of course, there will be some resistance from their upper management. Parking there was horrendous. Somehow, they had the gantry down even when there were empty lots, hence creating a long queue for guests that were driving. Security didn't want to pull it up. My guess was that there was a communication error, and something got held up. The food was excellent, that is coming from everyone, friends and family both. Free night stay at the grandest room was awesome, biggest room I've ever stayed in. It even had a 20-pax meeting room/conference table. Jacuzzi was huge, bed was huge. Ballroom facilities were fine, some pillars, but we weren't picky on that considering our budget. The red carpet was L-shaped. Sound and video quality was decent too, VGA, not hdmi. So overall, pretty good experience other than the hiccup concerning the parking. But that got solved anyway. Just recommend your guests to take public transport. 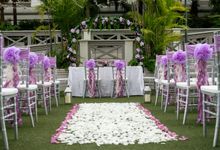 Dear Wayne, Greetings from Hotel Fort Canning and congratulations from all of us once again on your recent nuptials! Thank you very much for your generous compliments regarding our location, food, service and facilities. Your feedback regarding the parking is valuable to us, and we will be passing your comments along to the Engineering team to ensure that this does not occur again. It has been a pleasure hosting you and your wife at our urban oasis. We hope to welcome you again soon. At your service we remain. 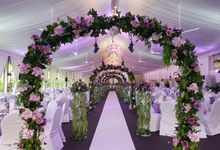 Yes our team of wedding specialists are ready and happy to help you create the perfect wedding. 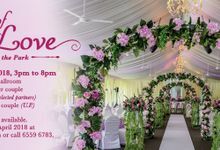 We go the extra mile for your occasion of a lifetime. 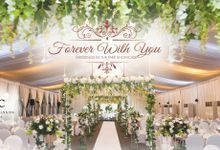 A number of meetings can be conducted beforehand to ensure that everything is in place, and on your special day, our wedding specialist and banquet team are ready and present to assist. 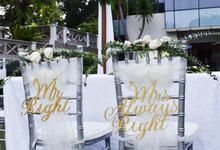 We always do what it takes to make sure that every couple gets the best out of our venue. Hotel Fort Canninng has been around since 2011. 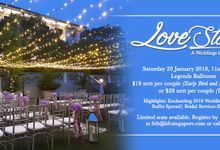 We are currently one of the most prominent hotel vendors in our field; 3-time winner of Best Solemnisation & Outdoor Reception Venue, and Best Outdoor Wedding Theme at the Her World Brides Venue Awards. 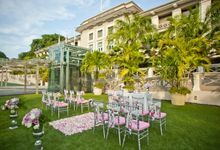 The first step to a wedding to be remembered begins at Hotel Fort Canning, 3-time winner of Best Solemnisation & Outdoor Reception Venue, and Best Outdoor Wedding Theme at the Her World Brides Venue Awards. 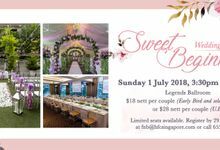 Choose from an array of stunning venues to suit the scale of your celebration including the HFC Grand Marquee - the largest marquee to be located in a hotel in Singapore, traditional ballrooms and the whimsical Garden Terrace.